Natural history collections are collections with unique purposes and uses compared to history and art collections. These collections are primarily used for research by scientists and academics and are continually added to, to help track information about species, populations and other parts of the natural world , , , . There are often multiple samples or specimens of a certain species because researchers and scientists need to see how the populations, species and environments change over time or how the methods of collecting the samples or specimens have changed. These collections represent the natural world through space and time, and they are incredibly valuable and large for this reason. For example the effect of the pesticide DDT on eagle eggs and other birds in general was confirmed through historical samples of eggs in natural history museums. Researchers could see that eagle eggs were in fact thinning compared to the past, and the research therefore influenced the ban of the pesticide. Labeling is fundamental in such a collection, individuals within a species have similar phenotypes (e.g. all blue jays look the same) and so the only real way to differentiate which specimen is which is through a detailed identifying label. More information than just an accession number is often required as an identifier in such cases, so external or attached labels are often used , . Wet specimens pose another interesting challenge with labeling. Often labels are attached and submerged with the specimen or specimens, and as a result have different material requirements as well, , . Labels in natural history collection often contain original information which is not recorded anywhere else in the museum records, as they were often created at the time of collection or accessioning, and are therefore extremely valuable. Collections staff at natural history institutions should recognize the labeling challenges for their collections, and stay on top of best practices and conservation standards for labels in their specific collections. As materials from suppliers rapidly change, it is important for institutions to be aware of the changes and how they might affect the labeling of artifacts. New pens and inks are continually coming out as “archival” quality which does not always mean they won't fade or change over time, just that they won’t cause harm the artifact or museum environment. Conservators often know they need to be on top of materials testing and research, but in many museums it is not always the conservator’s jobs to source materials or even label the artifacts or specimens. It is often researchers, registrars and collections managers that are in charge of these tasks. It is important to have an institution wide philosophy and understanding of preservation needs with regards to labeling and materials. In a natural history museum such as the Canadian Museum of Nature, often researchers spend the field season (summer) collecting new specimens and creating field labels. Sometimes these collections are not processed into the museum collection for many months (sometimes years or decades) so the labeling materials used by field collection staff must also be considered. It might be cheap and cheerful to label with Sharpies® and plastic ZiplockTM bags, but if the specimens aren't being processed for some time, are those the best materials? Most ‘Pigma’ pens are safe, cheap and easy for labeling, and many conservators agree that they are good for hand written labels, however they do not write well on rougher surfaces, so a variety of safe options should be available depending on the surface and labeling needs. Natural history collections are very susceptible to dissociation, due to the sheer volume of specimens (the Canadian Museum of Nature has over 10 million specimens). As mentioned, some labels contain unique data, are historically significant, or in the case of wet collections might not be directly attached to a specimen. As well an institution might start out with a great organized and ordered labeling system which all staff follow, but with staff turnover, or time in general, adaptations might be made and adherence to past protocols might be lost. An institution must be aware and willing to make changes based on research, and maintain standards within the workplace to ensure the longevity of the data standards of the museum. Institutional changes and dynamics often influence the collection on a greater level than externally perceived, so conservators need to be aware of their roles as advocates for preservation standards on many levels within the museum or institution. Recently ‘dissociation’ officially made the Canadian Conservation Institute’s (CCI) “Agents of Deterioration” list. Although many conservators always considered “displacement, institutional disorganization, and dissociation” a 10th category, the recent CCI recognition validates the cause (Waller and Cato 2013). Labeling an artifact during cataloguing and registration is a skill most conservators and collection staff learn early in their careers. Therefore most natural history collections staff have a fairly solid base knowledge of what materials are safe to use for this purpose. There are many resources available to natural history collection staff that discuss labeling practices (Carter and Walker 1999, Goldberg and Arenstein 2015, Hawks and Williams 1986, Hawks and Williams 2005, Hughes and Leckie 1994, Moore 2008, National Parks Service 1999 and 2012, Rose et al 1995 and 1992). Very recently “Marking and Labeling Collections” was the topic of an American Institute for Conservation’s Connections to Collections Care Webinar which was held on October 27th 2015. The webinar discussed the changes and current considerations which collections care professionals should be considering when labeling their collections (Lockshin 2015). While many museums are on top of labeling practices, it is an area which is susceptible to bad habits like using what is close by, using the cheapest option, or assuming volunteers and new staff know what their institutions practices are without training them properly. As collections age their original labels will too. Natural history collections are at a slight advantage, because frequently their collections are accessed for research purposes, and therefore the status of the label can often be addressed at the same time. Past materials used for labeling may not have been as ideal or safe as originally thought. For example iron gall ink was used to label some of the historic specimens at the CMN, wood pulp paper was widely used before its highly acidic and self-destructive tendencies were identified, and some adhesives have not aged well or contain harmful additives like mercuric chloride which damage paper and specimens, as well as being a hazard to human health. However, given the scope and size of the collections one can understand the immense time and cost of a ‘re-labeling’ initiative (to address the problems encountered with old labels). Choosing the best possible materials available gives the collections a leg-up in terms of long term preservation. This document attempts to identify a number of standards to aid in the decision making of labeling materials. Different levels of standards were identified through research. Having conservation and collection field-wide standards are crucial and important to maintaining professionalism, professional ethics, and ensuring our collections will last as long as possible, some of the standards identified in this document need to be reviewed and updated (e.g. The Peel Test), to ensure they are appropriate and current. As well, some new standards need to be created for newer technologies being adopted by collection users, such as thermal transfer printing, the use of synthetic papers in collections, and using adhesives at ultra-cold temperatures. The ideal situation would be that these standards be created for the collections and conservation field, so that the benchmarks they identify are specific to the needs of collections as they age through time. Industry standards are those that you can look for when ‘reading’ a catalogue or consulting with a manufacturer, to help identify a suitable material. These can be standards developed by organizations like the International Standards Organization (ISO), American National Standards Institute (ANSI), or the American Society of the International Association for Testing and Materials (ASTM). These organizations set standards primarily for manufacturers and the products you buy should identify which standards they meet (however this is not always the case). These standards are not always developed specifically for collections and conservation, they need to be carefully considered so that they will meet a collections needs but also are not completely unrealistic in terms of cost of production and accessibility. There are other kinds of standards and specifications which have been developed, which are a bit more practical, and could likely be included in a large contract with a manufacture. The Preservation Directorate of the Library of Congress has created a number of specifications for preservation supplies. These preservation specifications can from large institutions, like the Library of Congress, can be piggy-backed upon. There are also specifications and standards out there which have been developed by independent archival/preservation groups, such as the Photographic Activity Test (PAT) which was developed by the Image Permanence Institute (IPI), which can be adopted or adapted depending on preservation needs and the parallels between their needs and your collection needs. There are also a few simple and practical tests (we wish we could have identified more) to test ‘batches’ of materials or printing methods and technologies. These tests include things like pH pens, which help determine the acidity of paper products, or the Peel Test for testing ink adherence in archival laser printing an photocopying (although this one needs reviewing). While reading the different sections of this document, keep these different levels of standards in mind. Not all are applicable, achievable, or currently possible to every collection, but the potential and need for them exists. A label consists of three parts: a substrate, data which is printed, and an attachment method which is usually mechanical or adhesive. Each of these parts of a label must be considered carefully to ensure that the maximum longevity for the label can be reach through choosing the correct materials. Conservators and archivists have identified a plethora of safe materials to use with collections, but an extensive literature review found that there was little practical information to guide conservators and collections managers in choosing the best materials for labeling, and that further, there were even fewer identified standards to guide manufacturers. The following sections are broken into three parts, substrates, ink and printing materials, and attachments, in order to identify appropriate standards which can be used to source materials. There are two main types of labeling substrates: paper and synthetic paper (NPS 2012). Substrate selection is usually determined by the storage environment. For example, conventional storage uses dry paper labels, where in harsh storage environments conventional paper labels do not always stand up, such as wet collections and freezers, favour coated or synthetic papers. The substrate provides the support to the data and must last as long as the specimen, be able to withstand the same storage environment as the specimen and not impose any damage to the specimen or to the data and information it is holding (Cater and Walker 1999, Engel 1997, Hawks and Williams 1986, Moore 2008, NPS 2012). There is a wealth of information about the permanence of paper produced by the library, archives and photographic preservation communities (Carter and Walker 1999, Gisbert et al 1990, Hawks and Williams 1986, Hawks and Williams 2005, Hughes and Leckie 1994, Metsger and Byers 1999, Moore 2008). While many of the information and standards relate only to library and archives, much of this information is transferable to natural history collections. Paper stock should not contain more than 1% lignin and a Kappa number no greater than 7. There are two different types of paper which meet this standard. 100% Cellulose (rag) paper (cotton or linen). These papers are chemically stable, have a neutral pH, and have long fibres which provide great strength even when wet. Modern permanent paper produced using wood pulp. This paper meets the standard because it is processed to remove most of the lignin and is buffered with 2% calcium carbonate, resulting in a pH of 7.5-10. Archival paper will not contain fillers, chalk, optical brightness, bleach and will not contain recycled paper fibres. Different archival papers are suitable for different applications. For conventional dry labels, the first choice should be 100% cellulose cotton or linen (rag) paper, because of its long paper fibres and durability. If there is the risk of acid migration from specimen or environment then the second choice for dry labels is archival permanent paper made from wood pulp because it has an added buffer to raise the pH. Note 1: Permanent wood pulp paper is better suited for use with storage supplies or printing records for permanent retention because the paper fibres are less durable. Note2: Buffered papers should not be used with or next to proteinaceous materials. While paper has withstood the test of time as a labeling substrate it, it can be damaged physically (eg. torn, abraded, burnt) through mishandling or disaster. Chemically it is also sensitive to changes in pH, relative humidity and temperature, and will absorb acids over time (which is why buffered papers are useful) and these concerns can cause structural weakness in the paper. Paper is also prone to mould growth and pest infestation. If paper is going to be used as a wet collections label, it needs to be tested sufficiently to ensure it will withstand time and solvents. For “wet” or fluid collections, conventional papers have had varying success. Some historic labels, presumably rag paper, have withstood decades. Others, probably non-archival wood pulp paper have completely disintegrated relatively quickly. Therefore for fluid collections conventional paper labels haven generally replaced by coated or synthetic papers which are valued for their resistance to the solvents used in preservation fluids. Resistall is a linen based paper which is coated with melamine (C3H6N6), a formaldehyde polymer, and is resistant to breakdown in solvents, especially those used in wet collections storage (Andres and Genoways 1999, Simmons 2014). Resistall was (and still is) popular in use in collections as a permanent and temporary labeling substrate. However, according to the most recent research (Simmons 2014) Resistall is no longer recommended as a labeling substrate in wet collections because of its tendency to release acid into solution which can change the pH of the storage fluid. Advantages: It maintains dimensional stability when dry and wet. 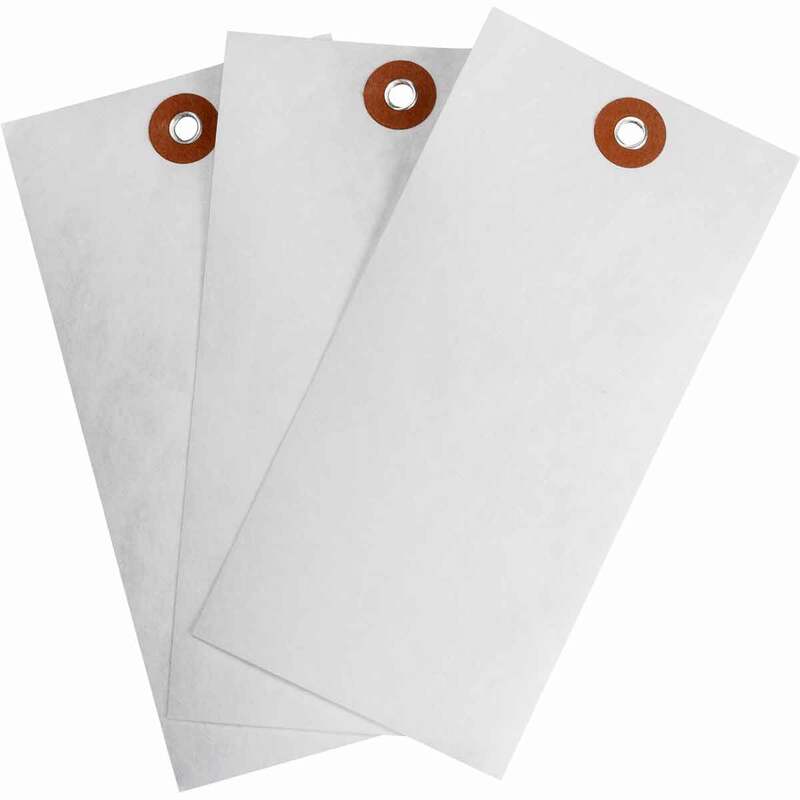 It won’t break down in alcohols or formalin, where untreated paper labels were often would. Great as a temporary label during field collection (eg. entomology) but long term uses should be avoided due to acidity. Practical Considerations: There were some issues with production in the early 2000’s and for a while it wasn’t being made because paper mills were refusing due to the hazardous use of formaldehyde (Dunphy 2015). While writing with pencil or pigmented pens is successful, printing on the coated surface can be technically difficult and requires testing. The CMN did some informal testing in 2005 and found that laser printed data is prone to falling off and becoming “alphabet soup” and some inks feather and bleed (Gagnon 2005). The best result was to use an inkjet printer and then bake the labels at a low temperature overnight to make sure the ink has cured before submerging in the preservation fluid. Due to the formaldehyde content, Resistall paper is acidic, with a pH ranging from 4.5-5.2. There are issues with these acids migrating into the preservation fluids and altering the pH of the solutions over time (sometimes as short as 4 days (Andres and Genoways 1999, Simmons 2014)), although not all users express this as a concern or issue. Synthetic papers have been primarily introduced to natural history fluid collections because of their known chemical resistance to solvents and durability. Archival polymers like polyester and polyethylene have been used because they are durable and chemically inert. Synthetic papers have also been widely used by the library and archives community for labelling and storage materials. They have developed ISO Standard 18902:2013 - Imaging materials - Processed imaging materials - Albums, framing and storage materials, which contains a lot of information which is generally transferable to natural history collections. ISO 18902:2013 states that chlorinated, nitrated or acetate plastics should never be used because they have poor chemical stability. The archival plastics should not contain plasticizers or any residual solvent as these might pass to artifact. A general good guideline is that the plastics pass the PAT. Evaluating synthetic papers for fluid or freezer collections is promising (Bentley 2015), and they have been widely adopted, but there are still outstanding questions that are worth investigating, such as the relative longevity of polyester to polyethylene. What is it? Tyvek® is a nonwoven sheet structure made from high-density polyethylene fibres which are melted together under a high pressure roller. There are a few different kinds of Tyvek®, soft (fabric like) and hard (paper like). Reservations: Tyvek® doesn’t always take inks well, since it is not an adsorbent material. Inks tend to feather and smudge if not left to cure/dry or are too wet. Preservation Issues: According to Dupont™, the manufacturer, most Tyvek® is treated with an antistatic (antistat) agent. This antistat adds an acidic element. Any Tyvek® product which ends in the letter B is has a neutral pH of 7.0 (Dupont 2004). It has been found to weaken over prolonged (5 years) exposure under outdoor conditions, due to the UV exposure (Gisbert et al 1990). It was also found to be eaten by carpet beetles during a test (Gisbert et al 1990). This product has not been around for very long when one considers how long some of the paper labels have been around. Tyvek® became available in the late 60’s, so the super long term advantages and disadvantages have yet to really show themselves. Polyester comes in many different formats, particularly when it is spun-bound, or non-woven. Depending on the thickness, temperature bonded at, and desired use of the material, spun-bound polyester can be thin or thick, soft or stiff. What is it? Polyethylene terephthalate. It is a polymer of ethylene glycol and terephthalic acid, and without additives is very inert (Taylor 1989). It can be formed into films and fibres. As labels, these can be self-adhesive labels or non-adhesive ‘paper’ which is printed through a thermal transfer printer (and sometimes laser printers eg. DuraCopy Rite in the Rain® Paper). They are becoming more frequently found in fluid collections and deep freeze collections for DNA preservation (Cryotube labels). Preservation Issues: Sharp edges of plastic could abrade and damage specimens. Some risk of embrittlement and yellowing with prolonged UV exposure, but most collections storage have eliminated this. If there is adhesive backing, this might fail over time. Manufacturers may change and product may vary over time. It is important that the data and information written and printed on the labels lasts a long time and remains legible. This portion of the label has the most variation and rapid change in technologies. Time and experience has shown that India ink and inks containing carbon pigment have a very high degree of permanence (Bruge 2014, Buck and Gilmore 2010, Carter and Walker 1999, Hawks and Williams 2005, ISO 1999, Moore 2008, Williams and Monk 1999). There are many historic documents where acidic inks have affected the paper, such as iron gall ink, which can eat through the paper. There are many modern inks which contain dyes and will fade over time, or are soluble in preservation fluids such as ethanol. Our experience with modern materials is only a few decades old, and while we know that carbon based inks can last centuries, modern materials and technologies require testing and evaluation before use. This category includes manual marking tools such as pens, stamps and pencils for use on specimen labels. Choosing the right pen to use depends on the intended use. In general ‘archival’ marketed pens will be acid-free and insoluble in water. Many ‘permanent’ pens are dye based (e.g Sharpies®, Microperm™, Identi-Pen™, and Staedtler® Permanent Lumocolor). These types of pens will not cause harm to the specimens or the museum environment, however are not guaranteed to last for decades or centuries. There have been studies which have shown that these dye based pens while they are permanent based on ISO 11798:1999 will fade over time and are in fact soluble in solvents such as ethanol, acetone, and preservation fluids (Davidson et al 2006, Buck and Gilmore 2010, Feller 1967). To ensure permanence and lightfastness the ink in pens should be carbon pigmented. India Ink (which is carbon pigmented) has been shown to be stable for centuries. Pigmented pens include Pigma® pens, Steadtler® Pigment Liners, and Faber-Castell® PITT Artist pens. It is not the intention to endorse any products or brands. Simply, this document is providing a few examples for reference. The Library of Congress developed an archival permanent stamp ink to combat theft. The ink is known as “actinic” ink, and is carbon pigment based, permanent, indelible, has a neutral pH, and is not soluble in water or solvents (Library of Congress 2015). Many inks used in stamp pads are dye based, which means they are susceptible to fading and may be soluble in water and other solvents. They should be carbon pigmented for permanence and lightfastness and meet the ISO standard 11798:1999. At the Canadian Museum of Nature, stamps are only used in the National Herbarium. They use a rubber stamp (which automatically advances numbers to avoid duplication) to record the unique catalogue/accession number on the herbarium page. The ‘lead’ in pencils is actually graphite. Graphite is a crystalline form of carbon, and is incredibly stable, will not fade and is insoluble. The graphite is mixed with inert and stable clay, and fired in a kiln. Pencils come in a range of hardness, and can be selected on the task required. Softer ‘leads’ require less pressure to produce a mark, where harder ‘leads’ require more pressure. While pencils are a general accepted marking tool, their marks do smudge easily, so might not meet ones labeling needs. Using printers is a great advantage for labelling. It improves legibility, can decrease the size of the label, and can increase speed and production while labelling. There are three main types of printers which can produce labels for collections, inkjet, laser and thermal transfer. Each type of printer has its advantages and disadvantages. One of the major issues with printing technologies, is the composition of the inks and toners. Inks and toners must meet the ISO standard 11798:1999 for permanence and durability of writing, printing and copying. All inks and toners should be carbon pigment based for permanence against solvents. The use of generic inks and toners should be avoided to ensure high quality product. What is it? Inkjet printing is a printing technology where ink toner is sprayed out of a small head onto paper. It is a technology found often in homes and small offices because it is affordable. Inkjet printers are also used to produce high quality image prints because of the high resolution and range of colours that can be produced by the printers (Tyson 2001). Why is it good? Besides being very affordable, inkjet printers high resolution means they can print very small labels which are still very legible. Researchers at the Canadian Museum of Nature have found that using inkjet printers allows the ink to penetrate the paper fibres better than the toner of laser printers, which helps combat the issue of abrasion in the collection (Gagnon 2005). Preservation Issues? While inkjet ink does penetrate the paper fibres, it also has a large majority of ink which sits on the surface. This places the printed material at risk of abrasion. In collections like botany, where herbarium pages are stacked, abrasion poses a large risk to the information on the labels. There are also issues with the type of ink used in the printers. Dye based inks are often soluble in water or other solvents and information is at a risk of dissolving. If the printer inks are pigmented, and specifically the black ink is carbon pigmented the ink will not fade, will not solubilize easily. The inks should meet the ISO 11798:1999 for permanence and durability. Carbon pigmented ink which passes the ISO 11798:1999 (for black ink). What is it? Laser printers and photocopiers use electrostatic charges, heat and pressure to fuse toner to the paper (Harris 2007). Briefly, a large metal drum is negatively charged in the exact locations of the letters and images wanting to be printed. The toner is positively charged, and as the drum passes through the toner, picks up the toner in the charged image and text areas. The paper with the toner is then pressed through heated drums to melt the toner and fuse it with the paper (Harris 2007). Why is it good? Laser printers and photocopiers are common in larger offices since they produce documents much faster than inkjet printing. Laser printers can print on a wide range of papers, including some select synthetic papers. Preservation Issues? Permanent adhesion through proper and complete fusion of the images and text to the paper is the most critical issue in laser printing. Abrasion is also an issue, as with inkjet printing. The composition of the toner is important, as its ability to make a firm fusion with the paper. This can usually be guaranteed if the printer and cartridge are made by the same company. By nature, photocopiers and laser printers use pigmented colourants. Since they are applied dry, the toner also contains a resin or binder which melts when heated. The manufacturer ensures that the toner meets certain standards, and while it is often cheaper to buy generic toners for laser printers, the composition of the pigment and the types of resins they use often vary from the brand version. This means that the temperatures at which they melt may be inconsistent, since the printer is meant to work with specific toners, and the final product will potentially not meet the preservation standards of ISO 11798:1999. Another issue directly related to natural history collections is laser printing in relation to wet or fluid collections. Research has shown that laser printed labels do not hold up in preservation fluids, and that the letters flake off becoming “alphabet soup” (Gagnon 2005, Simmons 2014). Research has shown that this occurs for a number of reasons: the quality of the toner may not meet preservation standards so the toner is not fusing correctly to the paper, second that dissolved lipids from the preserved specimens can dissolve the resins or parts of the toner which contribute to its adhesion (Simmons 2014, Zala et al 2005). Toners should meet ISO 11798:1999, and have carbon based pigment. ASTM F1571:2008 Standard Test Method for Determination of Abrasion and Smudge Resistance of Images Produced from Business Copy Products (Sutherland Method). This is a standard test designed to simulate the type of damage resulting from paper rubbing against a printed image. What is it? Thermal transfer printing is a technology which allows users to print onto synthetic substrates such as polyester or polyethylene as well as paper, using a toner ribbon which melts into the label substrate making a very permanent, abrasive resistant and preservation fluid resistant label (Bentley 2004, Simmons 2014). The technology was primarily developed for the shipping industry as a means to provide more durable labels which can withstand wear and tear of shipping and the outdoors (Arenstein 2003). The technology involves a ribbon which is coated with carbon pigment and either wax, a combination of wax and resin, or just resin. The print head heats up to a temperature which melts the pigment and its’ carrier into the substrate, at the same time the substrate is squeezed between two rollers. The remaining ribbon is wound on an uptake spool and the substrate emerges from the printer with the data printed. The three types of ribbons are very important in deciding what kind of label you will need. Wax ribbons are less durable than wax-resin and resin only. The most durable is the resin only ribbon, which is resistant to abrasion and most solvents, especially those found in natural history collections museums. Why is it good? Thermal transfer printers produce very durable labels. They are scratch and abrasion resistant, will not tear, and will not smudge, bleed or transfer ink in a variety of solvents. Preservation Issues? If the right materials are chosen as the substrate, associated adhesives, and ribbon, then there is likely little issue with the labels and they will likely withstand time in museum storage for decades or perhaps centuries. There is little to no research on the longevity of these labels, since the technology is also relatively new (15-20 years old). Wax and wax-resin thermal transfer ribbons have been shown to fail in preservation fluids (Bentley 2015 personal communication). The Library of Congress (700-713-09 Section 3.6) recommends resin only ribbons for thermal transfer printing of labels. Andy Bentley published an article in the SPNHC Newsletter in 2004. It is one of the only papers in academia and natural history associations which address thermal transfer printing, and so is a commonly cited reference. One issue is that the article recommends a wax-resin ribbon. In personal communication in 2015, Bentley admits this is out of date, and that new research shows that resin only ribbons should be used, however there have been no updates to his research which is still being referenced today. Key Requirements and Tests: Resin only ribbon cartridges which contain carbon black pigment. The label is a fundamental aspect of linking an object to its data. If a label becomes detached from its specimen and cannot be re-associated, that specimen has lost nearly all of the value and information which makes it significant (Waller and Cato 2013). Labels can be directly applied to specimens and will contain the catalogue number or accession number that helps uniquely identify that specimen from another (Buck and Gilmore 2010). Strings used to tie labels to specimens are often found in the vertebrate zoology collections, both dry and some wet specimens. Strings should be 100% cotton or 100% linen because, like archival paper, this means they are acid-free and strong. They are soft, and will minimize abrasion to the specimen. No adhesives are required, eliminating risk to the specimen. Preservation Issues: Knots may not always stay tied based on the stiffness of the string used. Matching the gauge of the thread or string the task should avoid this. Threads are susceptible to acid migration and hydrolysis from acidic materials. Can wick water, fats and solvents and carry them to the label (eg. Fatty labels from bird skins) (Zoethout 2000). Given its fibrous and organic nature, string is susceptible to pest infestation and mould growth if the conditions arise. Pins are widely used to attach labels to entomological specimens. These pins are long and very thin, and multiple labels can be stacked on the pin below the specimen. Entomological pins are rust proof, and should not contain any copper or nickel as they can react with the fatty acids in the insect and corrode. Stainless steel or black enamelled pins are favoured by entomologists (Rondon and Corp 2015). Pins are very clean, simple and effective. If the pins are not rust proof, there is risk of corrosion when in contact with specimens or with higher humidity situations. Older pins contain other metal alloys which might react unfavourably with the specimen or the label. Pressure sensitive adhesive labels. These labels are commercially prepared and can be preprinted with catalog/accession numbers or barcodes. Adhering paper labels to a support or specimen. This could be along the lines of adhering large paper labels to herbarium sheets, or adhering a small catalog number directly onto a specimen. Direct labeling using the adhesive as protective barrier from ink. This is the use of an adhesive as a base coat before writing directly on the object, a topcoat is then applied. There is also a cacophony of different adhesives on the market, each with very different qualities and properties which make them ideal for different tasks. Choosing the right adhesive for the job can be daunting but it is very important. According to ISO 18902:2013 Section 4.4.1 the basic requirements for all adhesives used in and with storage materials must be acid-free when dry, pass the PAT test (ISO 18916), and contain no rubber or rubber-based products. It is a general assumption and best practice that all adhesives used in collections should be reversible. In a natural history collection, these labels are most often found in association with wet or semi-wet collections and very cold collections. Increasingly they are appearing in natural history collections for barcoding a wide variety of materials. Labels located on the outside of jars or vials as well as Cryo-tubes require an adhesive which is not only permanent, but can also withstand extreme climates (-190oC), and exposure to solvents and preservation fluids. Studies have shown that acrylic resin adhesives on pressure sensitive labels are the most stable and permanent (Maynor et al 1989, Monte 2015). While suppliers may claim that rubber-based adhesives hold up better at extremely cold temperatures (Ambartsoumian 2015), rubber contains sulphur which is very detrimental to other materials and collections. For practical reasons emulsions (white glues) are desired for these purposes. To meet archival needs, the adhesive should have a neutral pH when dry. Paper will absorb acids from adhesives and the atmosphere over time and become embrittled and yellow. Polyvinyl acetates and acrylic dispersions are good options if their pH is neutral (Maynor et al 1989, Down 2014). The most practical adhesives to use for this purpose are solvent based acrylic resins (e.g. Acryloid B72), because they are quick drying and form a hard writable surface. The adhesive should have a neutral pH when dry. In general, a base layer is applied and allowed to dry. Then the number is applied with an archival pigment pen, and then another topcoat is applied (Buck and Gilmore 2010). Tyvek® - DuPont lists an archival version which has not been treated with an antistatic coating. They claim that all products which end with a “B” in their catalog are archival. However, many pressure sensitive adhesive labels made from Tyvek® are not ordered through DuPont, but through separate suppliers, who apply adhesives themselves. Is archival Tyvek® available in label form? Thermal Transfer Printing - There is a huge shift towards this technology, but many different sources recommend different printing ribbons. MRM5 (Buck and Gilmore 2010) recommends wax/resin, Library of Congress recommends resin, Andrew Bentley recommends resin, Brady Corporation recommends wax/resin or resin. Which is truly the most stable and archival? Which substrate is preferred between polyester, polyethylene, or polypropylene, especially for longevity and aging qualities? Archival Standard Permanent Paper vs Archival Rag Paper - Which one is actually better? According to standards both are fine. Do we need to specify the exact use for each? Cryogenic Labels - Adhesives - which adhesives are really suited for the cold? Are there existing products which are adaptable (e.g red construction Tuck Tape)? Sharpies on polyethylene bags - Is this suitable for long term labeling? Who is still using this in their collections? How can it be addressed? The previous sections are only the tip of the iceberg when it comes to material standards, as more and new materials are being produced almost daily. This amount of information is also incredibly (to me anyway) overwhelming. In order to make labeling decisions easier, three decision trees were created to help collections staff and museum workers. While they are focused on natural history collections, it is believed that they should be fairly transferrable to historic collections as well. A recent internal survey at the Canadian Museum of Nature helped reveal three main types of labels used in natural history collections, dry labels, wet labels and very cold labels. Another goal of the decision trees was to identify the key standards which each material should meet. For the most part, it was difficult to find standards associated with labeling natural history collections, so research identified best practices rather than hard standards. Library and archive professionals seem to be more willing to adopt and create standards for storage and labeling materials. Since labeling materials for natural history are similar to archival materials, it is easy and logical to draw some parallels between the two and adapt standards for use in natural history collections. These decision trees ask for certain standards to be met. The problem is that many materials used for labeling do not come with any reference to which standards they may meet. The other issue is that these are not tests an individual can easily perform at their museum. These standards are suggested as guidelines. Ideally we hope this will lead to manufacturers testing and more readily identifying products that meet these standards. Alternatively these suggestions could become a research project for the conservation community to address. This project was initially a part of a student research project, as a result time constraints left a few unanswered but important questions and recommendations for further exploration into labelling science. These questions revolve around thermal transfer printing, new synthetic substrates, next steps for materials testing, and further examination of the standards to ensure they are suitable for labelling standards. We also identify a few other directions we think this project could go, given the right people take it under their wings, and share their findings. The realm of thermal transfer printing is rapidly expanding and on the surface the benefits seem quite good: durable and ‘permanent’. It may seem prudent, but there is some unease about quickly adopting this technology when it is still fairly new, and there are a few outstanding questions regarding material standards. Which substrate polyester, polypropylene, or polyethylene should be used in cold collections and which should be used in wet collection? Is there any data on synthetics ability to hold up in cryo climates, especially considering museum collections must last ‘forever’? Label manufactures seem to produce a wide variety of materials, and most natural history museums tend to favour the manufacturer Brady , which in partnership with the National Cancer Institute produced a “White Paper” on the subject (SAIC-Fredrick and Brady 2008), although white papers are not traditionally written by for-profit corporations. Which ink ribbons should be used in thermal transfer printers when printing labels for cryogenic collections or fluid collections? What evidence is there for the longevity of the resins used in the labels? Manufacturers recommend both wax/resin, and resin only ribbons for the production of labels. The Library of Congress recommends resin-only ribbons for its ‘cold’ labels in its Preservation Directive 700-713-09, but their cold labels only experience climates as cold as -4oC. It is believed that these questions would make a significant conservation science project, and require more in depth research and testing. It is recommended that materials testing be performed to ensure that the materials being used in the collections are meeting the manufacturer’s ‘archival’ claims. Many different materials were identified by the collections staff through the labeling survey, but none were tested for their true archival qualities. Ink adhesion from printing technologies in different solvents/solutions (testing using the Peel Test). Paper pH, are all the papers being used meeting standards? Investigate Resistall paper. Is the acidity of the paper really causing an issue in CMN collections? The standards identified in this report require a more in-depth and practical review. Recently, a student intern at the Canadian Museum of Nature went to perform the Peel Test identified by the National Archives, however the 3M tape described in the procedure is no longer produced by the manufacturer, however the US National Archives and Records administration has recently through personal communication confirmed that 3M 810 Magic tape might be equally as effective. AWT Labels and Packaging (2013) has a great blog post about how to conduct the tests outlined in ASTM F2252-03 (2003), Standard Practice for Evaluating Ink or Coating Adhesion to Flexible Packaging Materials Using Tape, which we found was an alternative standard to the Peel Test, and might be worth a better look into. The Photographic Activity Test (PAT) was developed for the Image Permanence Institute (IPI), and is not a simple test that a conservator can perform in the lab to test materials. The National Archives of Australia lists tested materials on their website, or you can pay a fee to get a material tested to the IPI, but how practical is this to the museum field? Perhaps the route is to lobby for manufactures to already make sure their products meet the requirement? Each of these standards should be re-evaluated for their relevance to labeling. It is also more broadly recommended that the conservation field collectively adopt a set of clear standards related to artifact and specimen labeling. The ISO, ANSI and ASTM standards are very dense, and not everything in them applies to labeling materials. Ideally, we would like to see the reports and standards summarized to make them more accessible for museums – something like “Coles Notes” format. We have identified these standards as having the potential to meet the needs of creating labeling standards. It would be useful for conservation scientists to review these standards to make sure they truly are achievable and reasonable. A summary of what questions museums should be asking of manufacturers to get what they are looking for. As well the field needs to be very specific about what exactly to look for in a manufactured product (ie. what does archival mean? ; does the product meet standards?). A resource for collections employees on how to incorporate product specifications into contracts/requests for custom labels so you get what you want? For example we know that ‘permanent’ means many things for many products, such as Sharpies markers, which really just means not soluble in water. But ‘permanent’ for carbon based ink-jet printer ink may mean something else. The National Archives of Australia lists materials which meet the PAT ISO standard, however it hasn’t been updated since 2013 and it would be great for an association like CAC-ACCR or AIC to publish a guide to resources of materials which already meet standards, such as the PAT test to make it easier for members to find materials. We also think it would be useful to come up with simple tests that collection professionals can do as quality control for their labeling materials. The Peel Test seems like a good start, but as mentioned the recommended tape in the standard can no longer be purchased. pH pens are great for testing acidity in paper, but we know that acidity is not the only issue with paper products. In addition there should be simple tests relating to testing abrasion resistance of inks or light fastness of inks for both printer and handwriting tools. Ambartsoumian, George. 2015. Personal Communication. September 28, 2015. Andres, Mary Anne and Hugh H Genoways. 1999. Changes in pH in Museum Storage Fluids, I-Effects of Resistall Paper Labels. Collection Forum, 13(2):63-75. ANSI. 2009. ANSI/NISO Z38.48-1992 (R2009), Permanence of Paper for Publications and Documents in Libraries and Archives. Washington, American National Standards Institute. Arenstein, Rachael Perkins, Colleen Brady, Norine Carrol, Jen French, Emily Kaplan, Angela Yvarra McGrew, Ashley McGrew, Scott Merrit and Lesie Williamson. 2003. Tips from the National Museum of the American Indian collections move. AIC Objects Speciality Group Postprints, Volume Ten. pp. 92-106. Bentley, Andrew C. 2015. Personal Communication. September 9 and October 23, 2015. Bentley, Andrew C. 2004. Thermal Transfer Printers – Applications in Wet Collections. SPNCH Newsletter, September 2004, Volume 18, Number 2. Buck, Rebecca and Jean Allman Gillmore (Eds). 2010. Museum Registration Methods 5th Edition. Washington, The American Association of Museums. Carter, D.J and Walker, A.K. 1999. Papers, inks and label conservation. Inti Carter, D and Walker A. (eds). 1999. Appendix II: Care and Conservation of Natural History Collections. Oxford: Butterworth Heinemann, pp. 198-203. Down, Jane. 2015. Adhesive compendium for conservation. Ottawa: Canadian Conservation Institute. Dunphy, John. 2015. Personal Communication. September 21, 2015. Engel, Betty. 1997. Conservation Treatment Labels “…and everything old is new again”. WAAC Newsletter, Vol 19. No. 1. Feller, Robert. 1967. Felt-Tipped Markers and the Need for Standards of Lightfastness for Artists’ Colorants. Bulletin of the American Group, International Institute for Conservation of Historic and Artistic Works. Vol 8, Number 1, pp 24-26. Gagnon, Jean-Marc. 2005. Unpublished experiment looking at printing methods and substrates in wet collections. Canadian Museum of Nature. Gisbert, J., F. Palacios, and R. Garcia-Perea. 1990. Labeling Vertebrate Collections with Tyvek® Synthetic Paper. Collection Forum, 6(1):35-37. Goldberg, Lisa, and Rachael Perkins Arenstein (Eds). "Sharing Storage Solutions." Storage Techniques for Art Science History Collections. American Institute for Conservation and The Society for the Preservation of Natural History Collections, 2015. Web. 25 Sept. 2015. Harris, Tom. 2007. How Laser Printers Work. Web, March 14, 2007. HowStuffWorks.com. http://computer.howstuffworks.com/laser-printer.htm Accessed November 8, 2015. Hawks, Catherine and Stephen Williams. 1986. Care of Specimen Labels in Vertebrate Research Collections, In: Proceedings of the 1985 Workshop on Care and Maintenance of Natural History Collections. Edited by Janet Waddington and David Rudkin. Life Sciences Publications. Royal Ontario Museum. Pp 105-108. Hawks, Catherine and Stephen Williams. 2005. National Park Service Conserv-O-Gram: Labeling Natural History Specimens. National Park Service. Number 11/6. Hughes, Elaine and Carolyn Leckie. 1994. Labeling Systems at the Denver Museum of Natural History. Registrars' Quarterly, Spring 1994, pp 7-8. ISO. 2013. ISO 18902:2013 [E] - Imaging materials - Processed imaging materials - Albums, framing and storage materials. Switzerland, International Standards Organization. ISO. 2007. ISO 18916:2007, Imaging materials – Processed Imaging materials – Photographic activity test for enclosure materials. Switzerland, International Standards Organization. ISO. 1999. ISO 11798:1999, Information and documentation — Permanence and durability of writing, printing and copying on paper — Requirements and test methods. Switzerland, International Standards Organization. ISO. 1996. ISO 11108:1996, Information and documentation -- Archival paper -- Requirements for permanence and durability. Switzerland, International Standards Organization. ISO. 1994. ISO 9706ti1994, Information and documentation — Paper for documents — Requirements for permanence. Switzerland, International Standards Organization. Library of Congress. 2009. Library of Congress Preservation Directive Specification Number 700-713-09: Specification for Pressure Sensitive Adhesive Labels for Application to Plastic and Metal Substrates for Use in Thermal Transfer Printers. Washington, Library of Congress. Metsger, Deborah and Sheila Byers (Eds). 1999. Managing the Modern Herbarium: An interdisciplinary approach. SPNHC and the Royal Ontario Museum. Vancouver: Elton-Wolf Publishing. Moore, S. 2008. Another update on computer printer inks and papers for internal labelling of fluid preserved specimens. NatSCA News, Issue 15, 36 - 40. The National Archives. 1999. Testing Electrostatic Copy Quality: The Peel Test, Web, National Archives, http://www.archives.gov/preservation/technical/peel-test.html Accessed September 22, 2015. National Parks Service. 1999. Appendix Q: Curatorial Care of Natural History Collections in Museum Handbook Part 1. hmp://www.nps.gov/museum/publications/MHI/AppendQ.pdf National Parks Service, Washington. National Parks Service. 2012. Appendix H: Natural History Collections in Museum Handbook Part II http://www.nps.gov/museum/publications/MHII/mh2apph.pdf National Parks Service, Washington. Rose, Carolyn, Catharine A. Hawks, and Hugh Genoways (Eds). 1995. Storage of Natural History Collections: A Preventive Conservation Approach. York, PA: Society for the Preservation of Natural History Collections. Rose, Carolyn, Catharine A. Hawks, and Hugh Genoways (Eds). 1992. Storage of Natural History Collections: Ideas and Practical Solutions. York, PA: Society for the Preservation of Natural History Collections. Simmons, John E. 2014. Fluid Preservation: A comprehensive reference. Maryland, Rowman and Littlefield. Tyson, Jeff. 2001. How Inkjet Printers Work. Web. 26 March 2001. HowStuffWorks.com. http://computer.howstuffworks.com/inkjet-printer.htm Accessed November 8, 2015. Williams, Stephen and R. Richard Monk. 1999. Testing Dry Documentation Media for Permanent Hard- Copy Collection Records, in Metsger and Byers. 1999. Managing the Modern Herbarium, An Interdisciplinary Approach. Vancouver: Society for the Preservation of Natural History Collections. Winker, Kevin. 2004. Natural History Museums and a Postbiodiversity Era. BioScience, Vol 54, No 5. Pp 455- 459. Zala, Krista, N. Dean Penticheff, and Regina Wetzer. 2005. Laser-Printed Labels in Wet Collections: Will they hold up? Collection Forum, 19(1-2):49-56. Canadian Museum of Nature’s Collection. Unpublished report prepared for Fleming College, Peterborough, Canada. ↑ National Parks Service. 1999. Appendix Q: Curatorial Care of Natural History Collections in Museum Handbook Part 1. hmp://www.nps.gov/museum/publications/MHI/AppendQ.pdf National Parks Service, Washington. ↑ Rose, Carolyn, Catharine A. Hawks, and Hugh Genoways (Eds). 1995. Storage of Natural History Collections: A Preventive Conservation Approach. York, PA: Society for the Preservation of Natural History Collections. ↑ 4.0 4.1 Winker, Kevin. 2004. Natural History Museums and a Postbiodiversity Era. BioScience, Vol 54, No 5. Pp 455- 459. ↑ Hawks, Catherine and Stephen Williams. 2005. National Park Service Conserv-O-Gram: Labeling Natural History Specimens. National Park Service. Number 11/6. ↑ Bentley, Andrew C. 2004. Thermal Transfer Printers – Applications in Wet Collections. SPNCH Newsletter, September 2004, Volume 18, Number 2. ↑ Moore, S. 2008. Another update on computer printer inks and papers for internal labelling of fluid preserved specimens. NatSCA News, Issue 15, 36 - 40. ↑ Simmons, John E. 2014. Fluid Preservation: A comprehensive reference. Maryland, Rowman and Littlefield. This page was last modified on 15 June 2017, at 02:23.